WA Police released this image of a man wanted over a robbery in Ballajura. 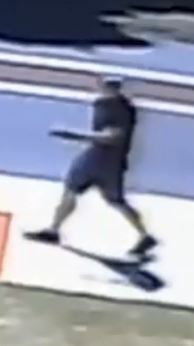 MIRRABOOKA Detectives are seeking the public’s assistance to identify a man linked to a robbery in Ballajura. About 12.20pm on March 12, a woman in her 50s parked her car outside a supermarket located in a shopping centre on Illawarra Crescent North and Alexander Drive. As she stepped out of her car, the man pushed her to the ground. During a brief struggle, the man pushed her to the ground. She hit her head on the ground and suffered a 2cm laceration. The man fled in her blue 2007 model BMW E90i. The BMW was recovered in Middle Swan later that day. He is described as being in his early 30s, fair-skinned, about 183cm tall, with a slim build, clean shaven and dark brown hair. He was wearing a dark coloured polo shirt, shorts, shoes a light coloured baseball cap and sunglasses. Anyone with information regarding this incident can call Crime Stoppers on 1800 333 000 or report online.